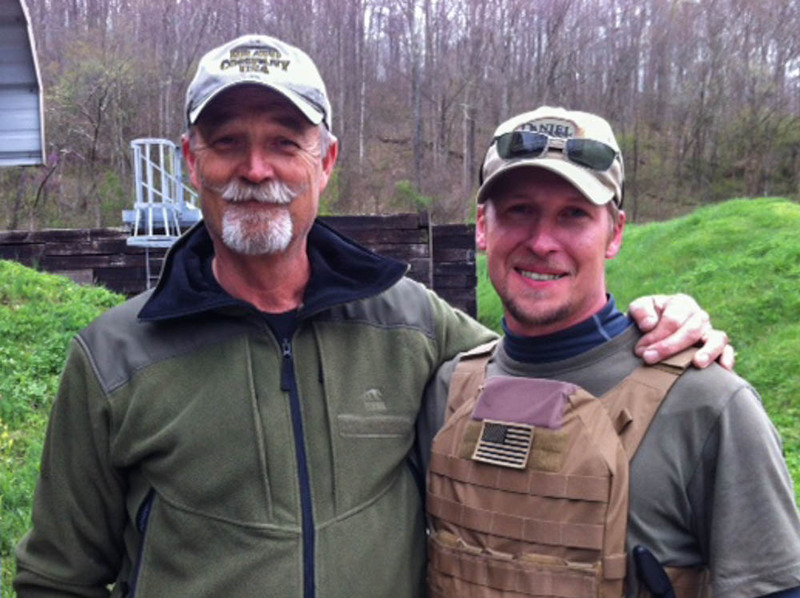 Ken Hackathorn and Glocktriggers’ Adam Hjermenrud at a class in Ohio. 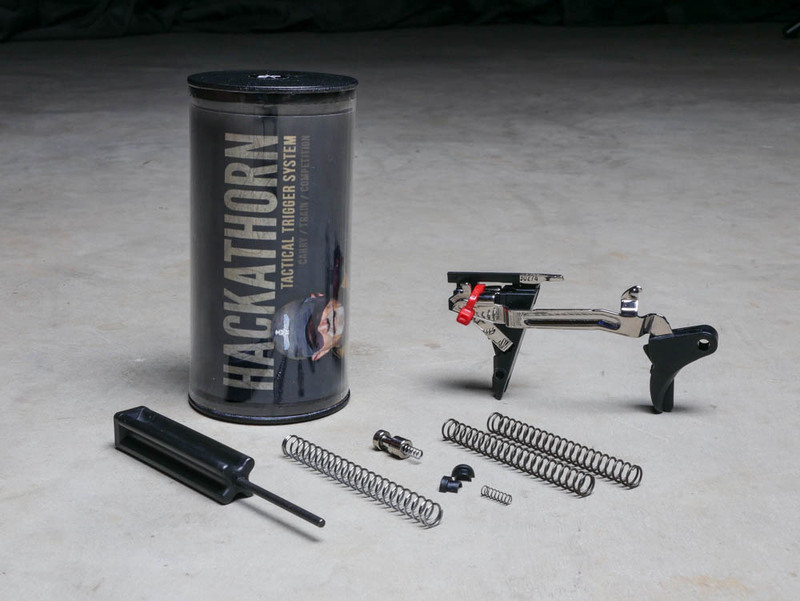 Ken Hackathorn gives us an insight on his history with Glock handguns along with his opinions on modifications to the platform. Upon pressure from Pete Kokalis, then small arms editor for ‘Soldier of Fortune’ magazine I got my first Glock 17 pistol in early 1986. I have to admit that I was not very impressed with it, and never thought it would become popular. Today it is the world standard for service pistol use. Annual production numbers of Glocks dwarf all other manufactures’. I have been somewhat vested in the small arms training business for over 40 years. 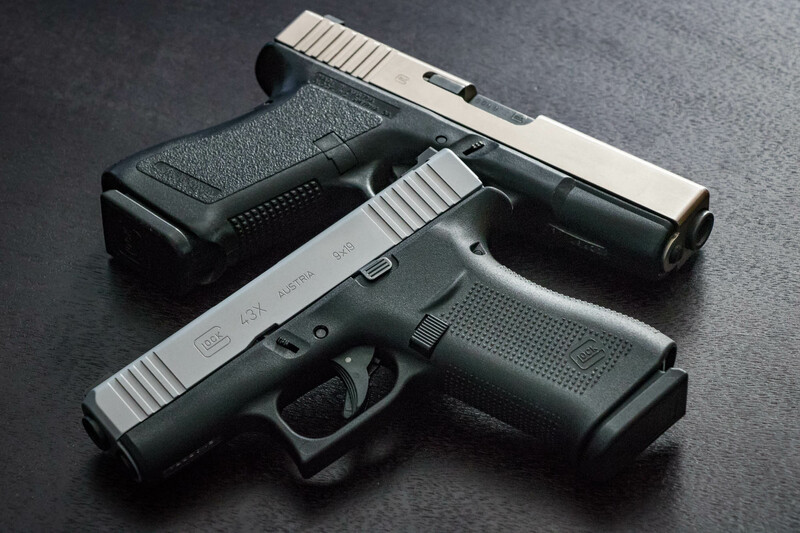 I have witnessed the rise in popularity of the Glock product line to the point that it is the leading pistol design in the 21st Century. Lots of other companies have entered the polymer service pistol market, and while many of these designs are very fine pistols……none remotely threaten the sales of Glock world wide. I have always believed that an instructor should use the same weapon that the students are using. So, I have become very comfortable with either a G17 or 19 in my holster. A self defense handgun must be reliable. Here is where the Glock 9X19mm pistols really excel over all other designs. I have trained a few folks using Glocks in my day, and one the observations I have made is that if a Glock does malfunction, it is probably the fastest and easiest pistol to clear. Generally an immediate action drill (tap-rack-bang) will get the Glock back into action with most common feed way failures. 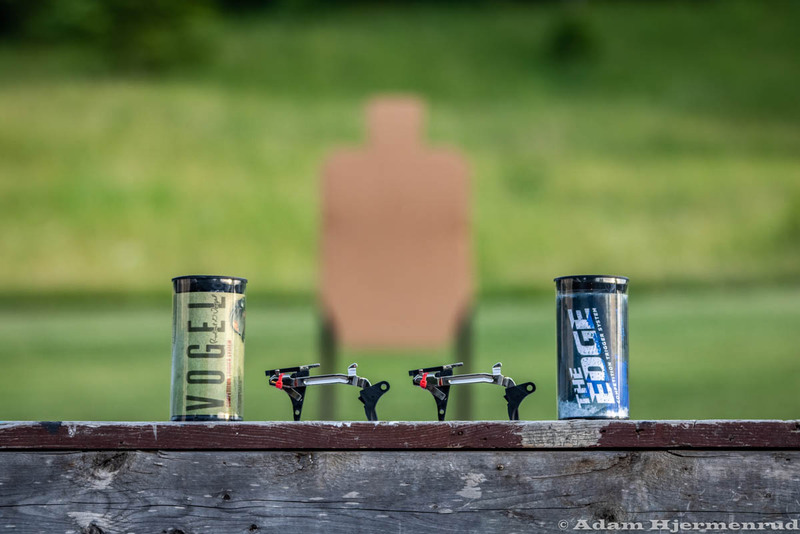 Assuming your pistol is reliable, the only critical requirements to using it well is the need for good sights and a trigger you can manage well. Sadly the Glocks first marketed had plastic sights that were not very rugged and were easily damaged. The selection of aftermarket sights is quite vast with many really good sight combinations available. Years ago I talked Rick Callahan of Ameriglo sights to make a set of sights that met my needs. His ‘Hack’ sights remain one of his best sellers. Latest Gen5 Glocks (the best Glocks ever made) are now available with Ameriglo ‘Bold or Agent’ sights. They are superb. All the ‘cool kids’ have embraced the mini red dot pistol sights. Fads come and go……I think the red dot sight for pistols is the wave of the future. But, when you add up the pluses of current designs with minuses, I’m not ready to wade into that swamp just yet. Besides good sights, you need a good trigger. With a Glock, the trigger has always been a good and bad marriage. Most of the good shooters I know have learned the Glock trigger pretty well. I see many folks run the Glock with skill levels that are outstanding. I have run Glocks from every Generation. Gen 1 Glocks actually had pretty good triggers and if you had been a double action revolver shooter, the first G17’s were easy to transition to. Gen 4 Glocks in my experience were the worse trigger pulls…which is what led me to Jeff Wilson and GlockTriggers.com. Using factory stock parts, he came up with a trigger system that was tuned to perfection and produced a really good trigger. Jeff’s right hand man Adam Hjermenrud is a magician with Glock triggers and their trigger systems are what I use and recommend. In the last few years I have started to see more problems with Glocks than ever before. First was the issue of the Gen4 pistols. Fortunately Glock has corrected most of the faults that the Gen4 possessed. None the less, my personal experience with Gen4 Glocks has left me cold. The new Gen5 Glocks are to the other extreme, they are the best Glocks I have ever used and recommend over all others. The operator error that is most prevalent is the practice of installing a light striker spring to get a light trigger pull. Don’t do it unless your gun is only used as a paper punch and you use only Federal primers. Even then don’t be surprised if you get an occasional click instead of a bang. Of all the things that I have experienced and observed that caused issue with the Glock design is the fact that for many shooters (myself included) when wearing gloves it is common to not get the trigger safety lever fully depressed and not be able to fire the gun. Sometimes you can kind of muscle your way through the trigger pull, but the hit will generally be not what you want. While I don’t suffer this problem when not wearing gloves, combine cold hands and gloves and the first shot can be an issue. Seems to be a problem whether you use a standard or flat style Glock pistol trigger. Kind of like getting the grip safety on a 1911 pistol depressed when in a hurry. Getting a really good grip on the pistol when first grasping the pistol in the holster seems to really help, but cold hands and gloves often times will compromise this function. Again more of an operator error than gun oriented flaw, but it does continue to haunt me and many other shooters I see trying to run the gun with gloves. I look at much of the ‘custom touches’ currently being done to Glock pistols with amusement. I get the fact that for many folks this look is ‘cool’. But I do not want extra holes and slots in my slide. The one in the front and the one on the top seem to be enough for me. Until the next time, good shooting and stay safe. The Founder of GlockTriggers.com, Jeff Wilson, gives an account of how “The Edge” competition trigger system was developed. 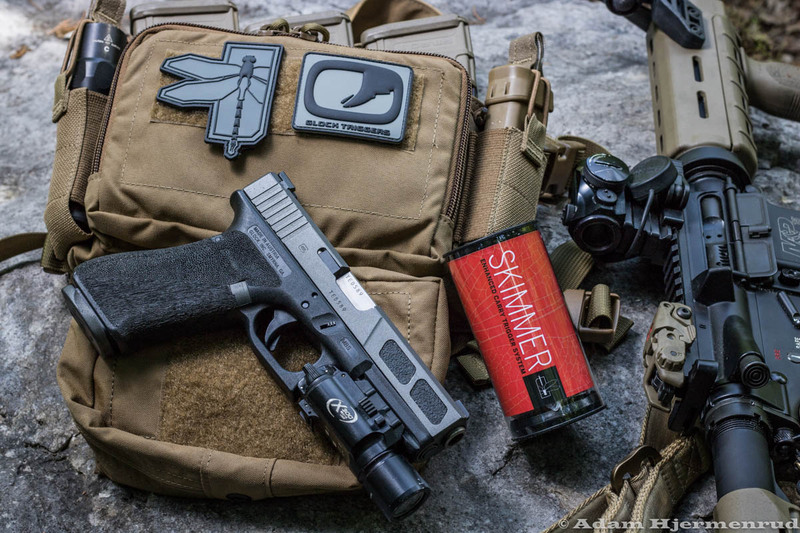 “When we started to shoot competitively, the only thing available for Glock at that time were several different aftermarket parts. We got all kinds of different results when we used those parts. After that experience I got the idea that if I was going to build a trigger for myself that the best thing to do was to keep the reliability that Glock built into the pistol and use the parts that they had produced because we know that they are reliable. Another issue that I needed to address is that I have very small hands and a really short trigger finger. I knew that I needed to move the trigger back further but then I also knew that I needed to make sure that I didn’t compromise any of the safeties in the process. These modifications where then developed into the first trigger produced by GlockTriggers.com, The Edge Competition trigger system. This was a trigger that I can now use easily with my short trigger finger. Every time out of the holster when I press the trigger to break a shot, I get perfect function every time. Included in this system is a completely assembled lower unit that drops in the frame. It is comprised of a trigger with trigger bar modified to reduce pre-travel, trigger housing with adjustable over-travel modification, trigger spring, and connector. Also included is a hex tool for over-travel adjustment, set of three different reduced power striker springs (4.0, 4.5, and 5.0 pound), and polished safety plunger with competition spring.